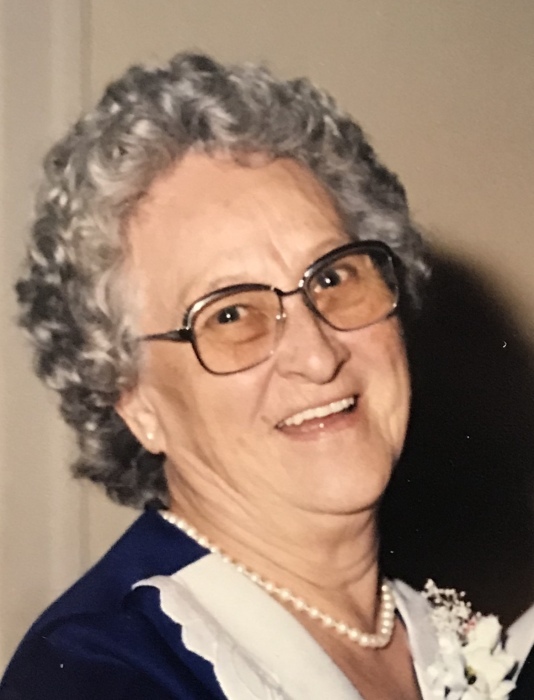 Effie Belle Farmer Strickland, 94, passed away Sunday, April 7, 2019. Belle was born on September 9, 1924, in DeFuniak Springs, FL. She was a homemaker, and she worked beside her husband, F.A. Strickland, on their family farm, with Strickland’s Wrecker Service, and at Strickland’s Paint and Body until he passed away in 2007. She was a lifelong member of Pleasant Ridge Baptist Church who loved her family, baking, staying current with the news and fashion trends, and reading. Belle grew up in DeFuniak during The Depression and later lived in Pensacola, Ft. Walton, and Tallahassee before returning home. She married F.A. on December 13, 1941, a week after the attack on Pearl Harbor and before he left to fight World War II as a member of the Army. They were married for 65 years. Belle is survived by two children, Buckie Strickland and Patricia Burgess, and three grandchildren, Melissa Pruett (Norman), Nancy Floyd Richardson (Dan), and Andrew Burgess. Belle was a proud great-grandmother to Danna and Jillian Richardson, and she loved her two sons-in-law, Edward Floyd (Debbie) and Ralph Burgess. One of 11 siblings, Belle is survived by sisters Estelle Arrant and Bonnie Clifton along with many nieces and nephews. Belle was pre-deceased by her parents, John Henry Farmer and Mary Annie Mason Farmer, three sisters, and five brothers. Visitation and services are being held at Jerry Evans Funeral Home, located at 668 Walton Road, in DeFuniak Springs. Visitation will be from 6 p.m. to 8 p.m. on Wednesday, April 10, and from 10 a.m. to 11 a.m. on Thursday, April 11. Belle’s funeral will be at 11 a.m. on Thursday, followed by a graveside service at Magnolia Cemetery.